In our remote rural area with a limited population base it is very difficult to find volunteers for our nonprofit organization. As director, I must pick up the slack when no one is available and at age 72, this is something very hard on me, especially heavy physical work. Our problem is this. There is only one person who seems to like to do volunteer work. He is a 63-year-old paranoid schizophrenic who refuses to take medication or participate in any of the new brain rehabilitation techniques that can help schizophrenia. ("I don't want to get well-I like to live off the government.") At times, he is a wonderful volunteer, totally cooperative, eager to do tasks, and do them well. This might last for a day or two, or an hour or two. Then without warning, he goes utterly ballistic over the slightest little thing, such as the tone of my voice, or a sound a stranger across the street makes, or it is simply a delusion that someone is watching him when no one is in sight. I've know this man for 20 years and over that time he has alienated everyone he has ever met, even his only relatives, two brothers who want nothing to do with him. (They occasionally call me to ask about him.) At times he becomes totally erratic and sleeps under bridges. Then he gets wonderful institutional help and they set him up in a nice apartment but always, within months, he hates everyone in the complex and walks out, leaving nice furniture, books and clothing the organization provided for him. I've seen this happen probably 20 times in those 20 years I've known him. When he is in our small town, we provide a simple room for him that he fills with books (he has a degree in psychology and is extremely well read). It is the only safe haven he has on a permanent basis. But his bullying attacks are growing worse, and have become nearly unbearable. He cusses me, stomps out and leaves me in a time lurch so many times, I can't tell you. He disrespects what I say, taunting and sneering, making faces, etc. You know, the ugly usual. I find it really saps my energy even though I work hard to distance myself emotionally from all that is spewing forth. I can't seem to find the information I need on how to set boundaries and deal with this type of shattered paranoid schizophrenic mind when they sink into the bullying mode. I would appreciate any professional input or shared real world experience. Twice lately he has grabbed me briefly and this has frightened me. Is he now dangerous? He does not carry a gun or a knife but was once a boxer in his youth. The local law enforcement is a sad joke from a very limited brain pool and who have upon occasion, also bullied me. He tells them I provoke him so he bullies to protect himself. They laugh and walk away. This leaves me utterly alone. What can I do? Wow! 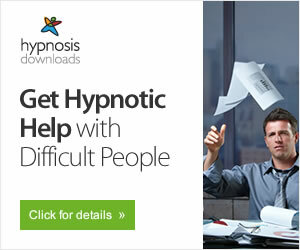 I think what you need is help from a mental health professional. What your letter shows me is how we need to identify the difference between bullying and other forms of aggressive behavior and even behavior that may be perceived negatively by the perspective of some but is really appropriate. A person who is paranoid schizophrenic is not a bully, but a person with a mental illness. Yes, I think a mental health professional can help you create the boundaries that you need. Harrassment is about bigotry and has a strong physical element. It is usually isolated. Whereas bullying is usually psychological and insidious. Its meant to cause emotional harm to the target. 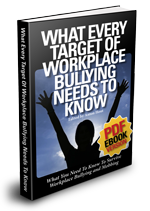 Workplace supervision that expects high standards of work performance is not bullying, but the employee who makes negative claims against the supervisor simply because they don't want to work so hard is a bully. I understand your frustration because the behaviors feel like bullying to you. Please don't take it personally. Schizophrenia, as you have recognized, is a brain disease. Please find a mental health professional to help you and don't take the guy's behavior personally. His illness is not personal to you. and you yourself have a troll hiding behind schizophrenia. nothing a couple dozen socks to the face behind a dumpster wouldnt cure, as trolls and habituary liers fear fist fights and loud conversations, they will try to yell at you but if you yell the get quiet real quick. Very challenging. I have no advice to offer as I live with a paranoid schizophrenic and am expected to be his carer. He is a manipulative controlling individual whose actions could be likened to that of a narcisstic personality. Folk say that schizophrenics are not violent. That is not true. Their actions can be likened to bullying. They are supposedly not directing the bullying behaviour at us. Their language is very directed. They seem to know what they are doing and saying but what they are doing and saying is so illogical that they are almost criminal in intent. I think there must be some help out there. Just know you are being bullied. From what I see the behaviour is very similar to bullies who are not schizophrenics. The person is trying to survive but how we deal with their desire for survival I do not know. Bless you. Seek help. I will too. He is being bullied. People with Schizophrenia are highly sensitive and pick up nuances in people's tone of voice or physical actions. That is why life is difficult for him and them.